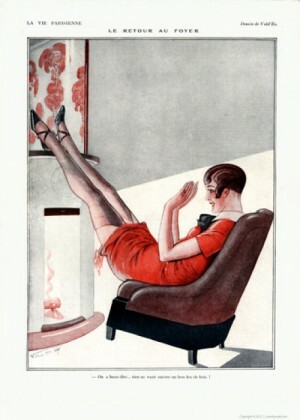 Works originally produced during the 1920s - 30s by Vald'Es. 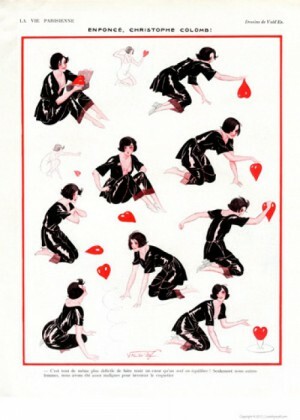 Val d'Es, Valdes and Valdex were a few of several pseudonyms used by Louis Denis-Valvérane & Georges D'Espagnat. 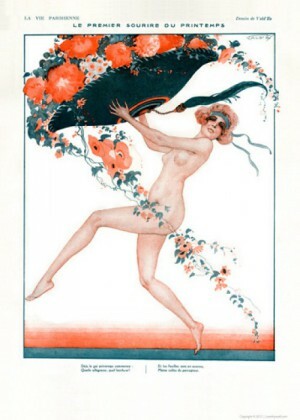 Louis Denis-Valvérane was a painter, engraver and illustrator, born in Manosque, France (1870 - 1943). 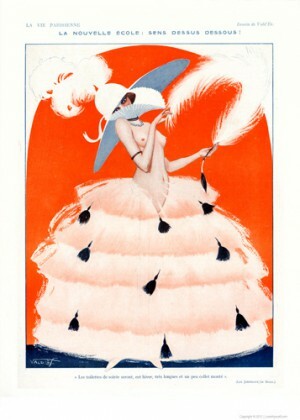 Georges D'Espagnat was an Art Deco French illustrator and stage designer born in 1870. 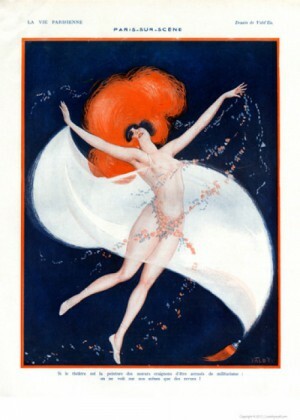 Many La Vie Parisienne illustrations are attributed to Vald'Es.